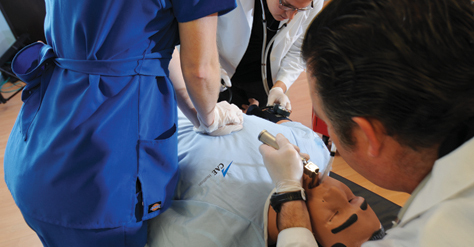 CAE Healthcare’s Learning Modules include a collection of carefully defined Simulated Clinical Experiences (SCEs) that allow you to easily integrate specific learning content into your program and add critical learning opportunities to real-life simulated environments, quickly and easily. 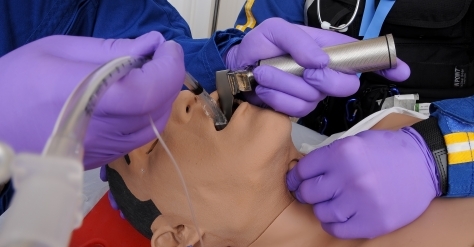 Healthcare educators today regularly utilize CAE Healthcare simulators in the classroom to enrich learning experiences and foster best practices. 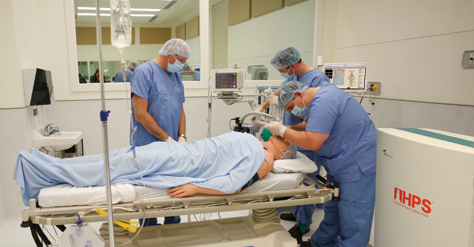 CAE Healthcare’s patient simulators are the gold standard for medical education programs throughout the world. The Adult Nursing Learning Module contains 20 Simulated Clinical Experiences (SCEs) from our popular Program for Nursing Curriculum Integration (PNCI®). It is composed of twenty of the most popular SCEs used by nursing schools and covers a variety of patient types and acuity levels. Available for iStan, METIman Prehospital, METIman Nursing and HPS. Module includes an ACLS Critical Actions Checklist for use in evaluating team performance. This Module contains 10 SCEs and is available for iStan, METIman Prehospital & HPS. 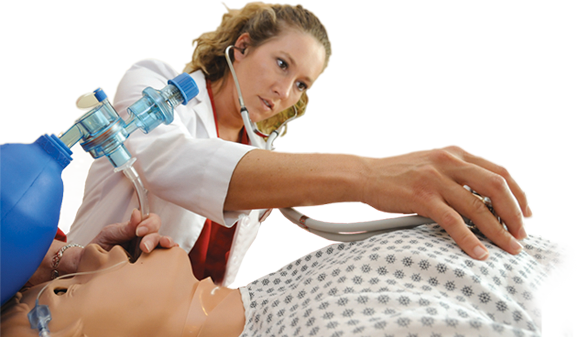 The Advanced Life Support (ALS) Learning Module is designed to assist healthcare providers in community and hospital settings to practice and rehearse caring for patients who require advanced resuscitation. 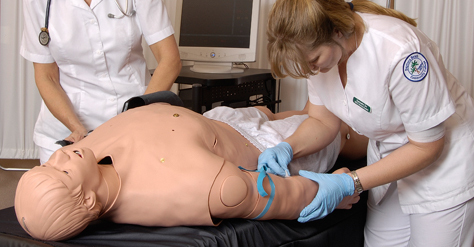 Based on the European Resuscitation Council Guidelines for 2010 the 10 simulated clinical experiences (SCEs) will facilitate the learning of staff who are required to undertake this role as part of their professional practice. 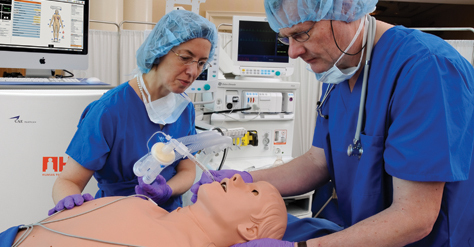 Based on the highly successful American College of Chest Physicians program, the Airway Management Learning Module includes eight scenarios that progress in difficulty from basic intubation to can’t ventilate-can’t intubate. 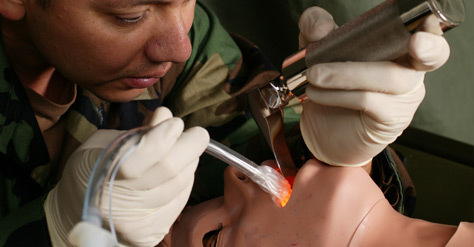 The module allows physicians, nurses and emergency responders to practice the latest procedures and techniques for airway management. Available for iStan, METIman Prehospital and HPS. 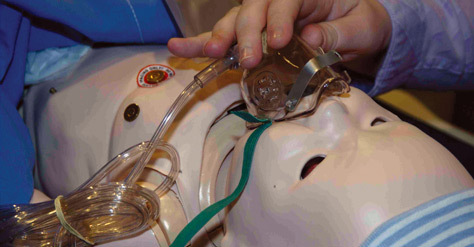 One of our most popular Learning Modules, Cardiopulmonary Critical Situations contains 8 SCEs that are focused on the care of patients with advanced airway management needs due to differing underlying etiologies. All SCEs are easily used for team training for these medical and surgical emergencies in any setting. Available for iStan, METIman Prehospital & HPS. CAE Healthcare developed the Disaster Medical Readiness (DMR) Learning Module in an effort to isolate the most critical components of disaster and mass casualty patient care. 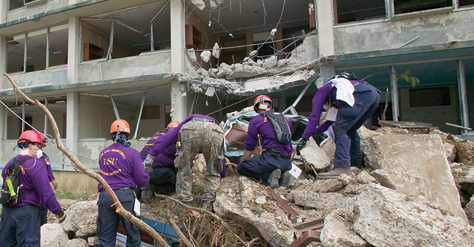 The Module meets the standards for disaster medical response and is aligned with the US National Disaster Planning Scenarios and the Target Capabilities List. Utilizing the “All Hazards” approach to disasters, the DMR Learning Module is a valuable tool to help meet the various training needs for integrated disaster medical response. The SCEs focus on various chemical, biological and nuclear forms of weapons of mass destruction and the mass casualties they result in. Available for iStan, METIman Prehospital & HPS. The Foundations of Nursing Practice Learning Module is designed for beginning students in all types of professional nursing programs. 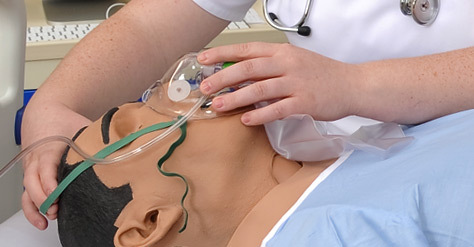 The 10 SCEs provide fundamental nursing concepts, skills and techniques of nursing practice and the foundation for more advanced areas of study. A special focus is also on physical assessment of the patient with various abnormal findings. These SCEs are from our popular PNCI. The Module is available for iStan, METIman Prehospital, METIman Nursing & HPS. Infant Emergencies includes 8 SCEs that are designed to teach common medical emergencies that are most often associated with babies and infants. The SCEs are focused on the top reasons infants and babies are admitted to the emergency department. 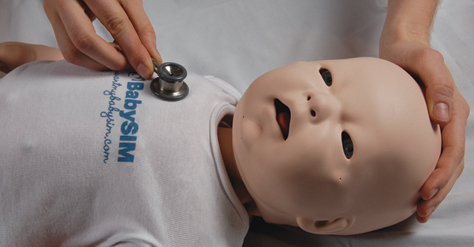 This Learning Module can be used for both prehospital providers and emergency department team training and is available for BabySIM. Infant Nursing includes all eight of the SCEs developed from the PNCI for those specifically interested in simulations involving the care of an infant patient. These SCEs cover a variety of patient problems and acuity level. SCEs are focused on care of the infant up to nine months old. To address these challenges, CAE Healthcare has teamed up with the European Society of Intensive Care Medicine (ESICM), a leading European medical professional society dedicated to the advancement and promotion of knowledge and best practices in intensive care medicine to develop the PACT Learning Module. This unique Module provides patient simulation learning tools tied directly to ESICM’s Patient-Centered Acute Care Training (PACT) curriculum, a multidisciplinary teaching standard used by over 5,000 physicians from medical institutions throughout Europe. 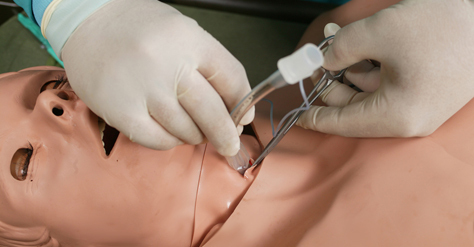 The 20 SCEs contained in the PACT Module are tracked directly to the competency-based program at the core of the PACT curriculum and provide learners with the latest patient simulation tools available to facilitate their learning. Available for iStan, METIman Prehospital & HPS. The PALS Learning Module is designed for facilitating learning of the AHA algorithms related to emergency care of the pediatric patient. 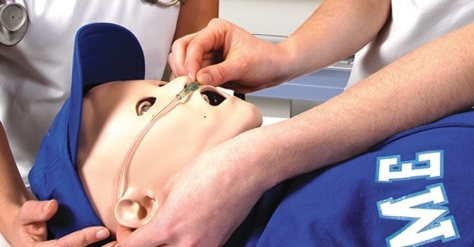 It is based on the 2010 PALS AHA Guidelines, contains 10 Simulated Clinical Experiences (SCEs) and is available for PediaSIM HPS and PediaSIM ECS. The Pediatric Emergencies Learning Module includes 8 SCEs designed to teach common medical emergencies that are most often associated with children. The SCEs are focused on the top reasons children are admitted to the emergency department. This Learning Module can be used for both prehospital providers and emergency department team training and is available for PediaSIM HPS and PediaSIM ECS. 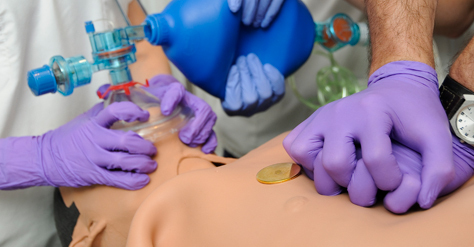 Pediatric Nursing includes16 SCEs developed for the PNCI for those specifically interested in simulations involving care of the pediatric patient. The SCEs focus on the care of pediatric patients ranging in age from 5-8 years old. All involve care of the family unit with various psychosocial issues highlighted that affect care of the pediatric patient. This Module is available for PediaSIM HPS and PediaSIM ECS. This Learning Module consists of 10 surgical patient care SCEs, which allow learners to incorporate many of the American College of Graduate Medical Education (ACGME) core competencies required in health care provider training during the course of patient assessment, diagnostic evaluation and management. The Perioperative Management Module may be used for both surgical resident training and team training in both the perioperative and intensive care arenas. The SCEs include preoperative, intraoperative and postoperative settings for patient care. This Module is available for iStan, METIman Prehospital & HPS. The Rapid Assessment and Intervention Learning Module was developed in partnership with the Community Hospital Alternative for Risk Transfer (CHART) Institute to assist hospital teams in acquiring the competencies for rapid identification of patient’s in distress on the general nursing units and appropriate response. These 10 SCEs are focused on the most common emergencies that require timely intervention to promote positive patient outcomes. 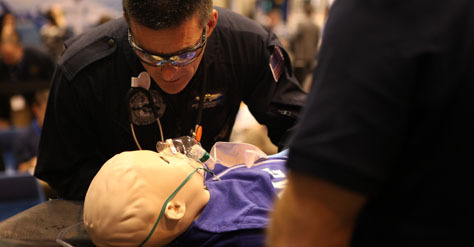 The Module is available for iStan, METIman Prehospital and HPS. 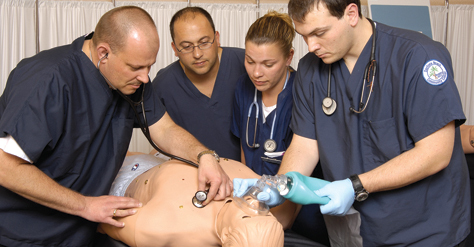 The Respiratory Education Simulation Program (RESP) was developed in Partnership with the American College of Chest Physicians and highlights the basic fundamental principals and concepts of science pertinent to the clinical practice of respiratory therapy. 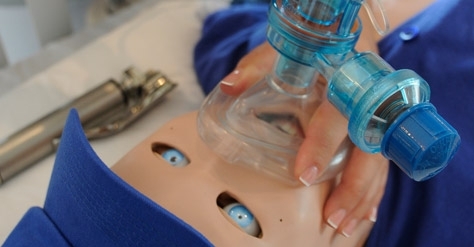 This three-part learning program consists of 30 SCEs designed to enhance the learning of respiratory care practitioners including diagnosis, treatment and abnormalities associated with the cardio-respiratory system. Modules are availabe for iStan, METIman Prehospital and HPS. The TMC Learning Module includes 30 SCEs that give the educator the ability to conduct and meet specific training objectives. This methodology is consistent with a “train as you fight” approach that is derived from lessons learned in current theater of operations around the world. This Module is available for iStan, METIman Prehospital and HPS. The Urgent Obstetrical Situations Module for Lucina contains 10 SCEs which progress in difficulty from basic obstetrical management to urgent/critical obstetrical situations.This Learning Module is intended for a broad spectrum of practitioners, including physicians, nurses, advanced practice nurses, paramedics and first responders. This Learning Module also includes Patient Record files as well as a .cas files for importing into LearningSpace™ as a Case.